Jazeman Jaafar is set for the first round of the International British F3 Series to be held at Oulton Park Circuit in Cheshire this weekend, but with wintry conditions forecast for the UK, the young Malaysian driver is expecting a chilly start to the season. 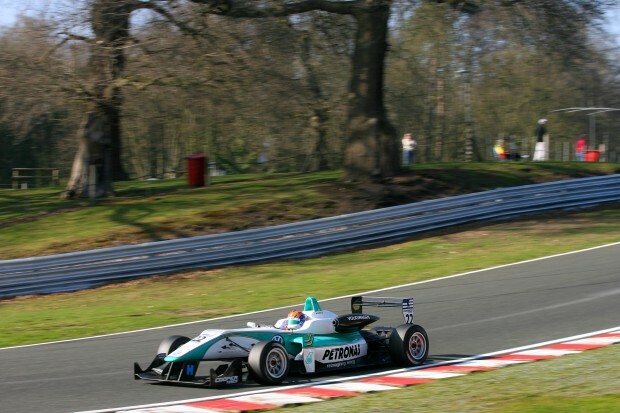 The PETRONAS supported British F3 title contender is looking for a strong points finish in the opening weekend of racing action, with a podium finish in his sights. Jaafar says of the upcoming weekend, “I’ve had a long winter waiting for the new season to come around and finally it’s here. I’ve had a busy time preparing for my British F3 campaign, working closely with Carlin, who I’ve raced with since I entered this championship and as much as I enjoy the behind-the-scenes work, there’s nothing that compares to being on the grid and going out racing. The International British F3 Series is a ten-event, 29-race calendar which features many of the top Formula 1 tracks as well as some of the classic European venues including Monza, Silverstone, Spa-Francorchamps and Paul Ricard. The first race of the weekend takes place on Friday 6th March with the second and third races on Saturday 7th March.